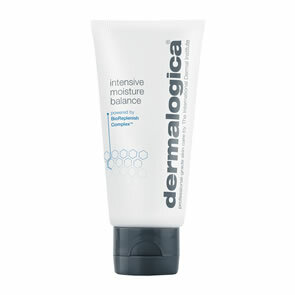 I purchased the Dermalogica products for a friend as a gift and therefore am unable to comment on them myself. However, as I have purchased the products many times before, I was so pleased to come across the Pure Beauty site as the prices are excellent. As far as the ordering and delivery process is concerned, I cannot fault it, and will definitely be repeating this in the future. The website is aesthetically pleasing and easy to navigate making the online shopping experience a breeze. I could hardly believe it when the products turned up so quickly too! Many thanks for a great service. Very rarely do I order something on-line and receive it the following day. The Dermalogica products are at least �3 or �4 cheaper per item that I can purchase in my local beautician so thanks also for that! I will definitely continue shopping with you. I was very pleased with the speedy delivery. Everything has been dealt with efficiently. I am very pleased. Thanks. Placed order late afternoon - received next morning - Excellent service and product - Many Thanks. Wow! I just wanted to tell you how impressed I am with your website and service. I ordered my Dermalogica product on Thursday at 11am and it arrived on Friday at 9am. Fantastic. The samples you provide are also great. I will definitely be using you again and will be recommending you to friends. The service was first class I will be using your site again. I placed an order yesterday and would like to thank you for your excellent service. 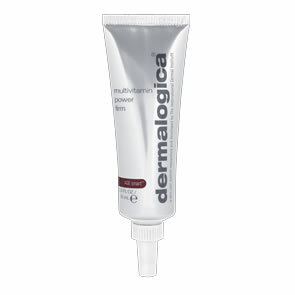 I have been a big Dermalogica fan over the past couple of years, and have tried a few different sources in purchasing their products. I have been really impressed by your website and delighted to have received my order within 24hrs of placing it! I would like to say that there is no way to improve upon the current order that I made. It's the first time that I have used your website. It was easy to use, extremely competitively priced and unbelieveably quick service. I ordered latish one afternoon and the products were here the next morning! I received loads of samples, which no other site offers and update emails on the progress of the orders. You have my future business. Excellent service, especially with correcting my mistake. Delivery was super fast! Thank you very much for your very efficient service - the products arrived yesterday and I'm looking forward to trying the samples soon. I will certainly be shopping again soon and will definitely recommend you to my friends. Extremely happy with order. Ordered at 4pm on Friday and was delivered 8 am Saturday by Royal Mail. Later read that we should only select 5-10 samples, but I chose 18 for my wife before hand. 11 were sent which was great-I think it's a fantastic idea to offer samples as everyone's skin is different and its best to try before you buy! Thanks. I just wanted to say how pleased I was with the speed of delivery. The things I bought were a present for my sister, who loves Dermalogica, so I was thrilled they arrived on time for me to give them to her. Thank you very much! Thank you. The service I received was excellent as I ordered my item late one afternoon, and it arrived by Royal Mail post the very next morning!!! Fantastic work. Thank you so much for the speedy service. I have just received my package. I will definitely be ordering again from you. Many thanks for this. I received my order in good time. This is a simple to use and very efficient service that I will use again.